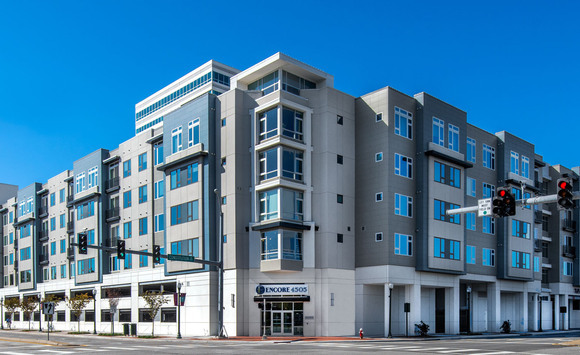 ENCORE 4505 AT TOWN CENTER IS WHAT YOU HAVE BEEN WAITING FOR! 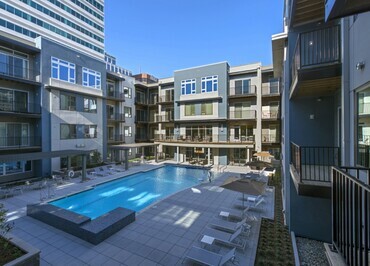 A premier luxury apartment community in Town Center of Virginia Beach, Encore 4505, offers its residents the chance to enjoy an extensive array of amenities in an unbeatable Town Center location. Our impressive amenity package includes a 2 story clubhouse with pool tables, state-of-the-art fitness center, business center with conference room and four courtyards. Each resort-style courtyard offers something for everyone including, cooking & dining pavilion, refreshing swimming pool with sundeck, sports court and comfortably furnished lounge areas with fire pits! Each apartment home has been professionally designed with you in mind. Your next home includes a full-size washer/dryer, modern lighting package and a gourmet kitchen with the latest energy efficient stainless steel appliances, elegant cabinetry and granite countertops. Make sure to check out the construction progress the next time you are out on the town shopping, dining or enjoying the night-life! We look forward to showing you why you will want to make Encore 4505 at Town Center your next home. Here at Virginia Beach Town Center you can find absolutely everything you need from dining, to shopping and entertainment.